As much as I loved using: #EarthDay2014 & #EarthDay !! Acquired Book By: I was selected to be a tour stop on the “Seeing Green” virtual book tour through JKS Communications: A Literary Publicity Firm. I received a complimentary copy of the book direct from JKS Communications, in exchange for an honest review. I did not receive compensation for my opinions or thoughts shared herein. Drawing on clever social commentary and her own experience in the political realm, author Annabel Hertz will get readers “Seeing Green” in no time. Her new book “Seeing Green” (April 15, 2014) steps into the world of cutthroat politics and environmental policy as seen through the eyes of a young multicultural woman whose personal life seems to parallel her professional life as an activist on the front-lines of Washington D.C. in the ’90s. Never afraid to articulate her personal convictions, Hertz’s modern day heroine is strong and profound, yet humorous and relatable. “Seeing Green” is Hertz’s first endeavor in historical fiction, much like the protagonist she introduces in “Seeing Green,” Hertz has delved into the world of politics with organizations involved in international relations and sustainable development. More recently, she served as a policy consultant, adjunct professor at the Geneva School of Diplomacy and International Relations and Global Governance Fellow at the World Economic Forum. “Seeing Green” is Hertz’s debut novel. She holds master’s degrees from Harvard’s John F. Kennedy School of Government and San Francisco State University, as well as a bachelor’s degree from the University of California where she studied politics. Hertz is currently pursuing a doctorate in international relations at American University in Washington D.C. I do have a conscience heart for the environment which is why Seeing Green appeals to me! Ever since 5th grade (1989-90) as on take your parent to school day one of my classmates Dad came in to talk about environmental science, preservation, and activism! Combined with seeing Medicine Man that same year, you could say I was a natural environmental advocate! My early experience in getting into the dialogue of environmental concerns and progressive thoughts towards action, responsibility, and response has endeared me to the topic for life. It is a lot of motivation for a ten year old in other words! I have even seen my environmental heart bleed into my writing life, as most of the stories I write organically have a flowing stream of conscience interwoven into the on-going conversation on how best to conserve, preserve, reduce, recycle, and sustain our natural resources as much as the natural environment of the Earth’s ecosystem which sits quite fragile in the wake of our advances. Previously, I hosted Sandra Leesmith (author of “Love’s Promises” which is an upcoming book review outside of her official blog tour) during a Cover Reveal post to help alert the word to readers of her next novel’s release. 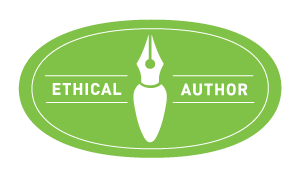 I appreciate taking part in these projects for authors as I am not only an advocate for certain causes but I am a true blue bookcheerleader to the level that if there is a book I feel passionately about I am quite eager to champion its cause on my blog! Ms. Leesmith returned to Jorie Loves A Story for an Author Interview which knitted together into a conjoined conversation about the environment and my own personal thoughts about green-minded publishing practices and the dedication of those in the industry who are already taking strides to green our books! Regular readers, subscribers, and visitors of Jorie Loves A Story will start to see more blog posts dedicated to this vein of dialogue, thought, and supposition as it is a personal passion of mine as a reader, a book blogger, a patron of public libraries, and a citizen of Earth. There are already sub-focuses in place threaded into the heart of my blog (i.e. adoption stories in fiction, Children’s Literature, Science Fiction & Fantasy, Classical Literature, Inspirational Fiction Authors, etc) however this will evolve and turn into a new resource in my blog’s sidebar as I compile the links I am uncovering to help spread the word and empower readers, writers, and other enthused supporters of green-minded practices inside the publishing industry. You will also start to denote a new ‘category’ attached to my book reviews which will be “The Ecological Factor” which will give credence of recognition for books printed by green methods and/or produced with sustainability practices. Likewise, before my blog’s official first birthday on 6th of August, 2014 I am hopeful to not only flesh out my sidebar to include more links than it already contains, but to keep them updated for bookish events stateside, throughout the Canadian Provinces, and around the world as I find the events which pique my own interest to attend if I were able to do so. I always encourage readers to contact me if they know of a link which would befit inclusion in my sidebar by either leaving me a blog comment on a post OR through using my Contact Form under “My Bookish Life“. 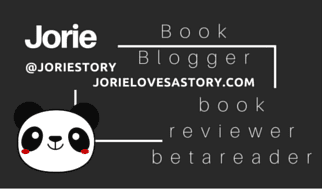 Jorie Loves A Story is truly a work-in-progress and as I grow in knowledge so too will my bookish blog! Always remember to scout out a sighting for “Related Articles” at the bottom of my posts as those are hand-selected by me, viewed & read prior to inclusion and are knitted to the topic or subject at hand. Each top menu of my blog has a supporting page (except for “Stories” as I swapped out “Home” for a word more relevant! although, if you hover you will find categories of ‘stories’ to click-over too!) as well as drop-down supporting categories to easily guide you on your way through my blog! Clouds for topics, subjects, genres, authors, and publishers are located in the lower portion of my sidebar for convenience. As I expand into more topics on the environment I look forward to the ensuing conversations left in the comment threads and/or in tweets on Twitter! I am always humbled and grateful for each person who takes a moment to contact me and to extend the joy of what is being shared and discussed. My plan is also to seek out pro-positive and honest stories both in fiction and non-fiction which have an under-thread of environmental science or green-minded practices to help paint a positive light on a subject that is too oft-times controversial. Thank you for always being open to take the journey with me! As I began the story inside Seeing Green, my mind instantly propelled me backwards into my own childhood’s eye of knowing fully the importance of Earth Summits and the ability to have world leaders openly discuss and talk about a pro-positive future for saving the environment as much as endeavouring to harness practices which will not continue to forsake natural resources. As a young girl I could see the fragility of the Earth simply by observation of the natural world outside the confines of my everyday wanderings. There are examples of the harshness humans can inflict on nature and on natural resources if you bend your eyes, heart, and mind towards viewing the natural environment through the eyes of those who inhabit the world outside our civilised cities and townes. The ecological ramifications are deeper than any of us could hope to emphatically understand yet within the hope of what we can achieve lies the greatest surge to rectify our mistakes and champion the wisdom from what we have learnt in their wake. I should not have smirked in acknowledgement of a behest of disillusioned frustration towards America’s inability to take the bull by the horns on the global stage to initiate environmental protocols, but how could I not smirk? Herein the smirk refers to growing up in a country bent towards change but hindered by the ability to make change happen in a way that is not only feasible but truly with the best intentions backed by the knowledge of how to properly put the right changes into action. A murmuring echo of a conversation I had with a German friend of mine and myself had around the Christmastide a few years back came startling back into focus as we had a rather hearty debate by how in the infancy of my country, her country had already triumphed such remarkable strides towards true green living practices such as a non-waste ordinance in cities to recycle all glass bottles – whether in the privacy of your house or out in the errands of your life. Recycle bins are as viable and visible as rubbish bins, which I could sympathise with as that was one of my dreams for my own future whilst living with the knowledge that progress takes a slower road towards the change she felt was second nature. I had to nod in recognition of the fact that women’s fashion designs have completely jumped the rails as far as what a true woman’s figure actually can hold within its being! At 18, I was plumb aghast, appalled, and properly gobsmacked by how fashion had altered its perception of real women and real bodies, whilst attempting to compartmentalise all of us into a cookie-cutter blueprint which does not exist in the real world. I hope all women rock the creative out-of-box mentality I have done in seeking femininity in a world bent against the true essence of the woman divine. I loved Arcani’s Aunt Lilian’s sense of knowing how to uplift her niece’s spirits even without knowing the full details of what stressed her to the brink of needing a cup of comfort and love. The novel is writ with a no nonsense approach of being true to self-identity as much as understanding ethnicity from a new perspective of a modern woman making her way in the worlds whilst holding onto the elements of what make her whole as a Native American. Owning her heritage and marvelling at how her sister Caroline would fail a test if asked of her Hopi roots. Arcani herself is lit afire by an intense desire to help the Earth and to pull back the excessive need of humanity’s drive towards consumption and exploitation of viable natural resources. Through her eyes we are taken back to a near-future outlook in the 1990s where hope was a thin determined line towards socioeconomic change in a lack of green-minded initiation. She sees the world as a half empty glass of exhausted lost causes through the apathy and stagnation she observes by how everyday life and the errands therein function. Her anguish over knowing her heart’s calling and the inclination of obstinate opposition deflects her rage but reaffirms her grit in rising above the stacked challenges to make a difference in a world bent against anything changing at all. Her reconnection to her parent’s origins and the roots of her history as a Hopi were explored as she returned to where her parents had once lived. By going back to find a semblance of what once was she started to reveal bits of her authentic self and in so doing, enabled her to move forward towards a future that would be decided on her terms; not on the wanton hopes of others. She even found a soothsayer whose wisdom painted a calming balm of grandfatherly love around her shoulders which was ached for as a connection of the heart. His guidance allowed her to see what was blocked to her before their encounter: at times when a blockage of progress cannot be released due to a conflict which is not easily resolved, one must seek the middle way of eclipsing the muddlement of stasis. Life provides us with an innate ability to determine our own fate whilst giving us the opportunity to impact the lives of those we endeavour to protect by changing the way in which we live today. Extending out of my second paragraph of my review of Seeing Green, I wanted to empathsis that there are communities and towneships already riding on the wave of progress towards a viable augmentation of pro-ecological and environmental change. Communities which support the locovore and slow food movements to discourage the trucking of fresh fruit and veg outside of a window of 100 miles. Communities which ignite a fever of hope by helping make recycling resources available to everyone either by curbside pick-up bins or by implementing the recycling bins at key sites in close proximity to where neighbourhoods can commute. Rainwater collection bins on the outside of homes are replacing the excessive use of water tapped from city or county water lines as residents find new ways to adapt to water shortages whilst enabling them freedom to water more often for their personal needs. Homeless shelters and missions are implementing self-sustaining practices by growing tracts of organic and/or non-chemical crops to not only feed their own but to outsource the surplus to gain back a living wage to those in need of it most. Community co-ops for health food, local produce, and local / state made products are sprouting up to take place of national green-grocers who cannot always serve the locality sector as well or with as many benefits to local trade and commerce. Local forest and park officers are finding non-chemical ways of treating insect pests and protecting local water resources such as lake, stream, river, and estuaries from being cross-contaminated. Solar powered rubbish and recycle bins are being inserted around downtown centers of business to help encourage pedestrians to pitch wiser and with a green heart in mind. Certain restaurants and eateries are backing away from using takeaway containers which have no recycle or reusable value to them by implementing the use of those that can be turnt back in for a second use. Electric car recharging stations are being sourced and built to give hybrid or full electric car drivers a place to ‘fill their tank’ around county or city buildings. It is easier to compost and reuse kitchen waste than it was say twenty years ago, as much as finding green friendly building supplies, personal hygiene products, house cleaning products, and every imaginable ‘product’ that a person could use in their everyday life. There are a myriad of changes occurring right now in all our local communities both known or unknown which are creating positive strides towards a better tomorrow. All change is codependent on our own ability to implement the changes we can in our own lives which in effect inspire others to do the same. The ones that I have shared are either in place in my local community and/or are in place in communities around the nation in which I personally know of being practiced. Yet, despite this turning tide perspective of how far we have come, there is still a heap of work left to do towards creating a greener space for all of us to thrive and build a stronger future for everyone yet bourne. We have to stay resilient and mindful of new ways in which to sustain ourselves and our local communities, not only for food but for water. We have to continue to think outside the box, and find ways to help our neighbours and those in our community who need our assistance. It came be as simple as giving a person a ride who cannot find one otherwise to taking someone to the local farmer’s market to source local produce. It is by finding ways to have local plots available for residents to keep herbs and veg for their own needs as much as finding ways to keep our footprint a bit lighter as we walk through our journey. We have to be respectful of how far we have come but not to become stagnant and believe that is all we can achieve. It is to keep the dialogue in motion and by instilling the proper hope and belief to everyone coming up behind us that change is a living entity that resides in each of us. Each person can effectively change one singular act of environmental conservation and preservation. And, this book blogger in particular is encouraged by seeing print books becoming greener with each year non-old growth forest paper is sourced, veg & soy inks are replacing harsher chemicals, and the bindings of books is created using materials which do not destroy more than what we can replace in a kinder more renewing way towards sustainability. Some might advocate for less print books, but for each person who reads electronically may they realise that not every reader can read on a digitalised screen and those of us who read strictly in print format are championing the printers and publishers who are leading the charge for a greener world of literature! I do believe I caught a copy-edit error on page 17, as there is mention of a 2002 model of a car when I believe we were still in the present year of 1992? Normally I shake off a copy-edit error, but in this instance it threw me for a bit of a loop except the rest of the paragraph was most decidedly not taking place in 2002! Elsewhere I found the minor inclusions of vulgarity to be a bit tame until of course the worst word I think that is oft used too readily for my particular tastes made its first appearance on page 18. As outlined in previous ‘Fly in the Ointments’ I am not one who condones the use of vulgarity to the level of extensiveness as some novels have the tendency of doing. One exception to this preference of mine was ‘Etched On Me‘ which is in a different category altogether in of its own. I transcended the language barrier by finding myself intrigued by Arcani as a character and as a woman struggling to find her feet in environmental advocacy and activism. Her character’s spirit shines strong and is one character I found myself overlooking using words which inwardly make me cringe. I was a bit puzzled by how a novel written about the environment did not include any disclosure or stamp of sustainable print sources for the paper or for the production of the book. In fact, I nearly felt I had received an ARC except that there isn’t a disclaimer towards this end anywhere I could find inside the book or outside of it. I claimed this as a ‘self-published’ novel due to the fact the only markings of how it exists is the copyright notice (simply a statement of year) and a brief biography of Annabel Hertz on the last page of the novel itself. It is the very first novel I have ever picked up which does not list a Library of Congress listing nor does it have anything between the cover page and the author’s biography except the text of the story itself. It is a bare bones edition which intrigued me to say the least. Click the tour badge for a full listing! More will be added here in coming days! As this blog tour is in-progress! Reader Interactive Question: I am most curious to hear what impression of environmental advocacy and/or environmental protection you grew up with during your own generation inasmuch to see your thoughts on eco-friendly innovations in the comment threads. I welcome the conversation to take on its own thread of interest and to keep a green-minded forum of open exchange on various posts as I move forward with environmental focused book reviews and blog posts. I was a bit surprised by how much I have to share on my own behalf, but I sometimes note that there are certain books whose topic of focus re-fuel our own passions and give us a platform to express of thoughts and opinions. I’d be keen to learn which books (either fiction or non-fiction) on the topic at hand would be recommended for me to seek out to read next after my reading of “Seeing Green”! ?